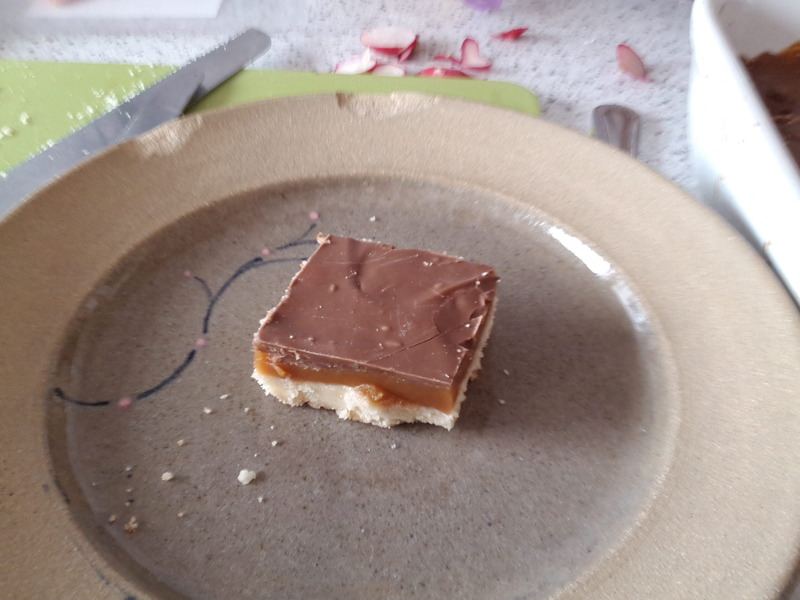 Chocolate and caramel topped shortbread is a favourite of my children and one day this holiday I agreed I would make some as part of refusing to buy it as well as ice-cream in a cafe. I was worried it would be really complicated and difficult but it turns out it’s really simple. I used the recipe from Mary Berry’s Fast Cakes and it took only a little longer than the 20 minutes the recipe estimated despite doing several other things in the kitchen at the same time. 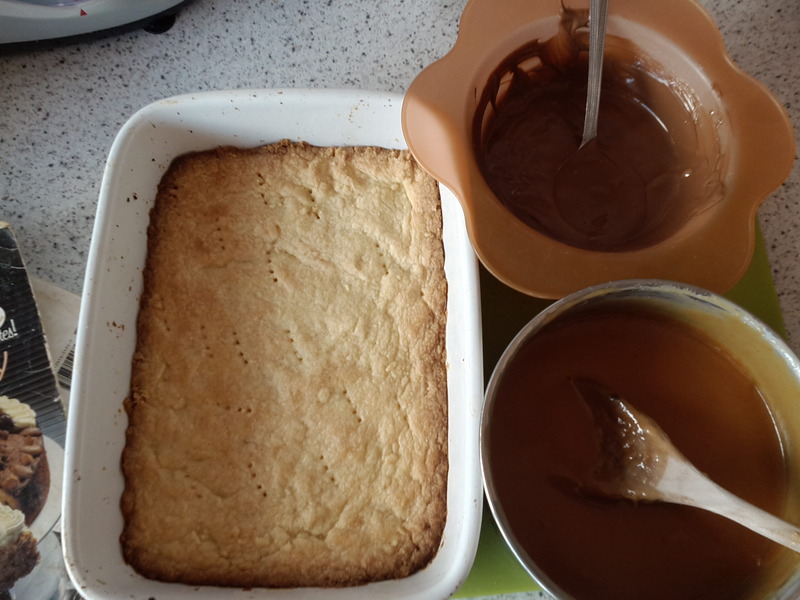 Short bread got slightly over done but the caramel and melted chocolate were easy. It took longer than the children hoped to cool fully but once it was cool it was very yummy. Feed back from the taste team was that the shortbread was a little too crumbly so I will have to look for tips on that for next time.